I didn’t want to care about this World Cup. In fact, I shouldn’t care about this World Cup. I should be feeling whatever the opposite of excitement is for Russia 2018. Look at the opening game of the tournament today once Robbie Williams (what no Shakira this time?) has done his bit. Russia vs. Saudi Arabia. Can you think of two nations on this earth you care less about? Nope, me neither. But I’ll still be watching. This was meant to be the first of the “two corrupt World Cups”, meaning the Russia and Qatar tournaments that summed up the venality of FIFA (not that previous World Cup bids were any less corrupt, of course). But I’ll still be glued to as many games as I can. Outside of the dirty politics surrounding this World Cup, the cynic might suggest I shouldn’t feel Russia 2018 because I’m English. But somehow I do feel Russia 2018 even though the cynic has a good point. I mean there’s no bigger burden in life than being an England fan during a World Cup apart from being a Scotland fan. Central America hasn’t had it easy in World Cups either. But Central America has never forced unrealistic expectations onto itself for over half a century. There’s no bigger burden in life than being an England fan during a World Cup apart from being a Scotland fan. El Salvador was the first Central American country to ever qualify for a World Cup. They got to Mexico 1970 the hard way, beating Honduras in a playoff that resulted in the so-called Football War. It wasn’t a great start. El Salvador went on to lose all its group games without scoring a single goal. And even though I wasn’t yet born for Mexico 1970, I’m sure – even with the Football War and its implications – El Salvador enjoyed their World Cup more than England, who were defending champions. Don’t ask me how I know, I just know. My first World Cup was Spain 82, but I was a kid and I remember little apart from the Panini stickers, which I loved. I have a faint recollection of England vs. Kuwait in Spain 82. But no memory of the two Central American teams, Honduras and El Salvador, who participated. I should remember Hungary thrashing El Salvador 10-1, shouldn’t I? That’s still the biggest scoreline for a game in World Cup history. Then came Mexico 86, Gary Lineker’s Golden Boot and Diego Maradona’s Hand of God (a quaint expression for cheating). I was in California that summer visiting family. 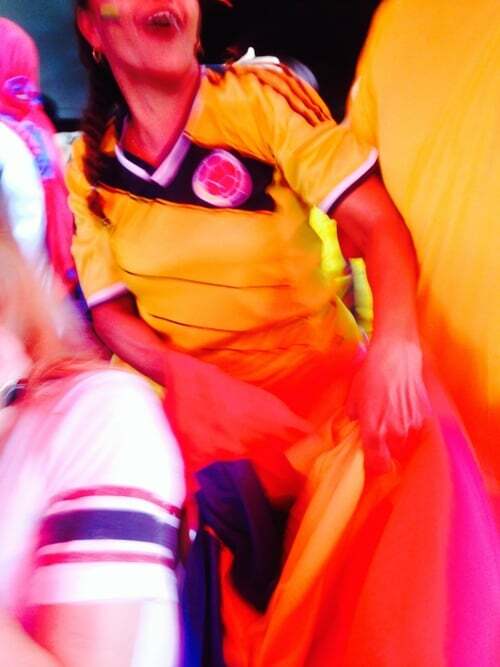 The World Cup fiesta took place across the border but might as well have been on another planet. I remember it being hard to watch games on TV. The USA hadn’t embraced the beautiful game back then. After that, we had Italy 90, my favorite World Cup ever. I loved everything about that World Cup, from New Order’s “World In Motion” to Pavarotti to Roger Milla to Carlos Valderrama. Jackie Charlton’s Ireland. David Platt’s goal against Belgium. And England made it through to the semis, our best finish in my lifetime, and one I doubt I’ll ever see again. West Germany beat us on penalties. Stuart Pierce and Chris Waddle. Heart-wrenching. I remember that feeling of the bottom dropping out of my stomach 28 years later. 1990 was Costa Rica’s first World Cup, too. Back then I didn’t know where Costa Rica was. But like any true Englishman, I loved it when they beat Scotland. That put Costa Rica on the map for me, a decade before I moved there. Subconsciously, it may have been the moment I decided to one day live in Costa Rica. I like to think so, anyway. Like any true Englishman, I loved it when Costa Rica beat Scotland. And if you’re Swedish, you’ll never forget that Hernan Medford goal, no matter how much you’ll want to. England didn’t qualify for USA 94 thanks to Graham Taylor. Neither did any Central American country although that wasn’t Taylor’s fault. Let’s blame him anyway, though. France 98 saw England back in business, although no Central American teams made it. It was the last World Cup I watched in England and I guess it’s the one I associate most with unrealistic expectations, broken hopes, and shattered dreams. Those were the days when everyone still expected us to win. When I say “everyone” I mean the English. No-one else was so deluded. But then no-one is ever so deluded like an England fan. Flags everywhere. Beer guts and tattoos. Vindaloo. Hooligans in Marseille. The best and the worst of our culture. On the pitch, we scraped through our group as normal. And like normal lost on penalties to Argentina – always friggin Argentina or Germany – in the second round. France 98 is the World Cup I associate most with unrealistic expectations, broken hopes, and shattered dreams. This time, a miss by David Batty sealed England’s fate. Batty was lucky though. He escaped the fans’ wrath because David Beckham saw red for kicking out at Diego Simeone earlier in the match. They hung effigies of him in the streets for that and sent him bullets in the mail. Like I said – the best and the worst of us. On a positive note, the Michael Owen goal was sublime. Korea/Japan 2002 was the first World Cup of my new life in Central America. Living in San Jose by now, my main memory was the time difference between Costa Rica and the Far East. Lucky I was young and could handle staying up all night drinking. The early games in Costa Rica started at like midnight or something ridiculous. We used to watch the “early” games in Caccios on the Calle Amagura in San Pedro. Then we’d head over to the now-defunct Sand Bar, a heavy metal joint that stayed open all night for the later games. Nothing like watching Portugal vs. Poland at 4:30 AM to a soundtrack of Sepultura and Iron Maiden at a volume designed to make your ears bleed. 2002 was my first true experience of La Sele. Costa Rica was back for the first time since 1990. Paulo Wanchope was at his peak and had a strong tournament, despite Costa Rica not making it through a group including Brazil, Turkey, and China. Costa Rica taught me a lesson I never realized I needed back in 2002. I learned you need not expect to win the tournament to enjoy it. Most England fans back then never knew that. We needed to win it – no matter how unrealistic it was – to enjoy it. No wonder we were always so miserable when we went out. Costa Rica taught me a lesson I never realized I needed. I learned you need not expect to win the tournament to enjoy it. And of course, we went out. This time to Brazil in the quarters thanks to a stunning Ronaldinho effort from the center of the park. If we had won that game we would have won the World Cup and ended 36 years of hurt. Yeah right. Still, the pizza at Caccios was great (and still is, by the way). At least we beat Argentina and stopped them getting out of their group. That was something. Four trips around the sun later, it was time for Germany 2006. Costa Rica was the only Central American team to make it to Germany and I’ll never forget that Germany game, the opening match of the tournament. We’d set up a TV out in the courtyard of the old Namu Travel office and I guess the whole company squeezed in to watch a game where all agreed Costa Rica did better than expected. Two goals against Germany? Unfortunately, Costa Rica also lost against Ecuador and Poland in their group, but that Germany game was awesome. My other abiding memory of Germany 2006 was being one of two English guys in Panama City, Panama. We rushed through the hotel inspections we were doing for Panama Vacations because we needed to watch England vs. Sweden. The English pub we thought would show the games wasn’t open (I’m still incredulous about that, twelve years later) so we went to Bennigan’s instead and met a bunch of guys from the British embassy. Good times apart from the 2-2 tie which stopped us from getting the whole nine points from the group. England lost to Portugal on penalties, where Lampard, Gerrard, and Carragher all blew it. So much for the Golden Generation. Oh, and Wayne Rooney got sent off. Meh. I can’t even talk about South Africa 2010. Oh okay then, I will talk about South Africa 2010. By now my disillusionment with England was almost complete. Almost, I said. In South Africa, it became complete. Another dismal tie, this time against Algeria, saw Wayne Rooney berating the traveling fans for booing. We were terrible. We couldn’t even beat the United States. Somehow we made it through our group only to get hammered by Germany in the next round. It’s lucky Germany put us out of our misery when they did otherwise Argentina would have done it in the quarterfinals. Honduras was the only Central American team in South Africa 2010. To say they covered themselves in glory would be a lie. Losses to Chile and Spain, and then a 0-0 draw to Switzerland put them on the early plane home. Onward to 2014. This was my favorite World Cup since 1990 but not because of England. By now, England was pretty much dead to me, and their performance in Brazil did nothing to change my mind. We made 2010 look like a master-class. Losses to Italy and Uruguay made the crappy 0-0 draw to Costa Rica meaningless. Ah yes, Costa Rica. They were magnificent and made me love international football again if only for a month. It was a joy to be in Costa Rica during Brazil 2014. They were in our group, with Italy and Uruguay and on paper should have been the ones going home first. I mean England, Italy, and Uruguay had all won the World Cup before hadn’t they? This was the first ever World Cup group to feature three previous champions. Costa Rica had no chance. Until they beat Uruguay and then Italy. They scraped a draw with us, but by then they had won the group and we were off to the airport for the flight back to London. Costa Rica was magnificent and made me love international football again. Then came Greece in the second round. 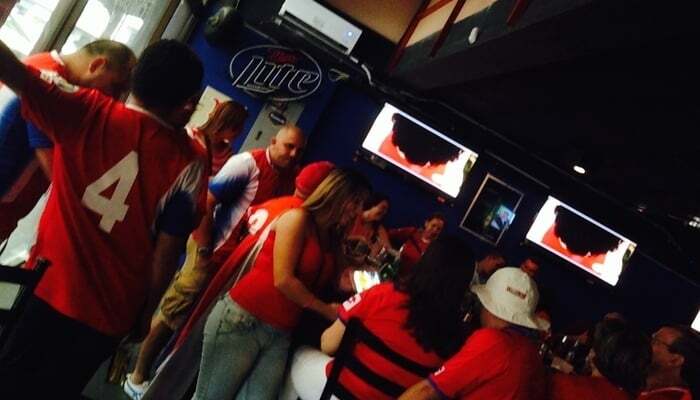 I watched it in Tamarindo and it could have been the most boring game in World Cup history. In fact, if it wasn’t Costa Rica playing I might have gone and done something more interesting, like drill a hole into my head. But La Sele got through it and Tamarindo exploded in joy. Onto the quarters and a step too far with Holland, who beat us (by now, Costa Rica was “us”) in a penalty shootout. It seemed fitting for my adopted country to lose in the quarter-finals on penalties. How very English of them. Honduras also made it Brazil 2014 for the second tournament in a row, an achievement in this part of the world. Unfortunately, they lost all their group games, scoring once before going home with zero points. And so here we are again, with a new World Cup starting today in Russia, the one I mentioned I shouldn’t be excited about but am. England is back to mess with my emotions. I’m sure we’ll do the minimum needed to scrape past our group and go out in the next round or the one after that like we always do. It’s interesting to note that England has Panama in its group. That’s the second World Cup in a row we’ve been in the same group as a Central American country. And yes, Panama is a Central American country. Deal with it, haters. It’s great to see Panama in this World Cup for the first time. They got there at the United States’ expense and you know they’ll milk it. 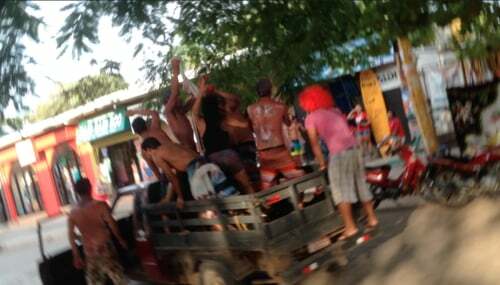 Sticking one to the gringos was just the start of the party for them. How they will do in the tournament is a different matter. In a group with us (yes, England are “us” again until they blow it), Belgium, and Tunisia, they have to be the least favored. I know last time Costa Rica were the least favored in their group and won it, but this Panama is not that Costa Rica. Heck, this Costa Rica is not that Costa Rica. Because I’m realistic (some say negative) about England, I’ll say Panama gets a point from this group. That point will come from a tie with England. Like England, Costa Rica are back but make no mistake, they have a much tougher task than last time. In a group with Brazil, Serbia, and Switzerland, it’s vital they beat Serbia in their first game to hold any hope of advancement. Can they do it? We’ll see. If they do, forget trying to get into San Jose from San Pedro next Sunday morning. What I will say is that with Costa Rica and Panama, it doesn’t matter. As I’ve learned during four World Cups living in Central America, the fans here have an infectious enthusiasm. That’s the most important thing, and it’s something we English need to learn. There’s no way England expect to win it this time around. It’s been years since we had that blind arrogance, which is a good thing. This is our World Cup of zero expectations. So I hope we can enjoy the party too. Maybe we will. I’m still glad I’m in Costa Rica for this World Cup and not in England though. I guarantee Costa Rica will enjoy the party no matter what. I may dislike Russia hosting this tournament, but it’s still the greatest sporting competition in the world and despite myself, I’m feeling it. The next World Cup is in Qatar and I’ll probably refuse to watch it so I’ll make the most of this one, as I’ll be in my fifties for Canada/USA/Mexico 2026. Yikes. That’s a sobering thought. I consider this is my last World Cup while I’m still relatively young. So bring it on. Best of luck to Costa Rica, to Panama, and – as much as I hate getting sucked in again – to England. I think I’m getting sucked in again to England.